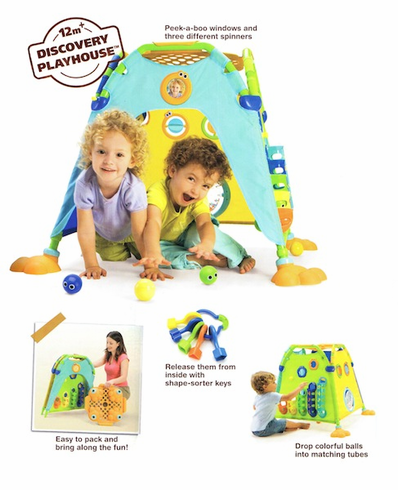 This award winning playhouse was disigned for 12m+, and contains hours of stimulating play time. Activities on both inside and outside encourage physical and cognitive development through rewarding, imaginitive play. Includes ball play, shape sorting, posting anf peek a boo games. Big and roomy - perfect for cooperative play between multiple children. Easy to assemble, and folds up for great storage.